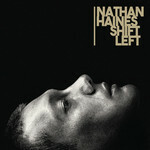 The 25th Anniversary reissue of Nathan Haines' seminal debut album. Originally released in 1994, the album is a subtle, astute meltdown of jazz and hip-hop by the preternaturally mature Haines and his fellow musicians whose diverse backgrounds came into play across the 11 originals. The album was released by Verve Records in the UK in 1995 and remains New Zealand's biggest selling jazz album, while also forming the blueprint for Nathan's future releases and his international career path. "To say Shift Left was a landmark in New Zealand music is an understatement," says Simon Grigg (who released the NZ edition on his Huh! Label), "but it didn't arrive out of the blue. The genesis came with the new generation, bands like The Jazz Committee and Freebass, both featuring the precocious, hugely talented saxophonist Nathan Haines and his equally talented guitarist brother Joel. "What made Nathan and these players unique was the way they fused hip-hop and Urban Pasifika with experimental improvised jazz, often live at Cause Celebre in intense sessions that would sometimes not start until 1am and last until dawn." Those sessions ultimately led to the formation of the Shift Left band, comprising some of the most virtuoso performers to ever join together both in the studio and on stage in New Zealand. Featuring Joel Haines, drummer Mickey Ututaonga, keyboardist Kevin Field, Puerto Rican born percussion legend Miguel Fuentes and turntablist/DJ Manuel Bundy, this original line-up is re-uniting for the first time in over 2 decades for two very special and historic shows. With this excellent remastered reissue - and three new remixes from drummer/producer Julien Dyne, Haines with DJ/producer Frank Booker, and P-Money - this innovative album sounds contemporary but is also a reminder of the period which created it.